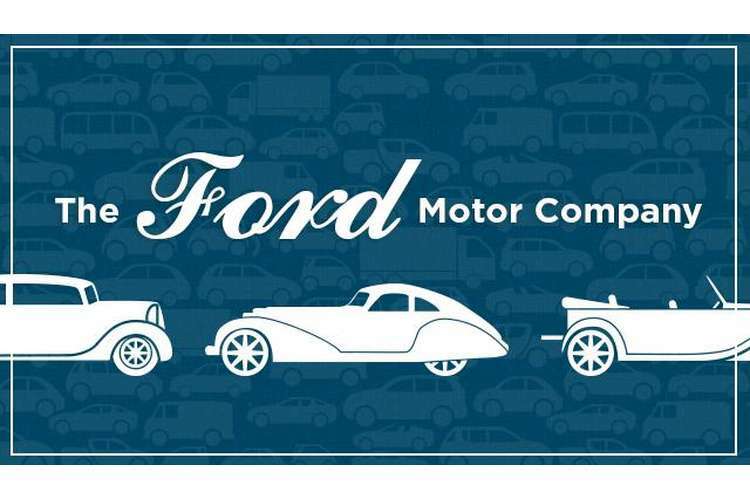 Ford Motor Company is an iconic brand which had been the symbol of American automobile engineering for many years. The organisation had been facing a lot of issues lately which has had a negative impact on their business operations in the market. The CEO of Ford Motor Company, Mr. Alan Mulally had faced a lot of challenges initially when he took over the reins of the organisation with declines sales volumes and strikes by labour unions which were increasingly threatening the normal smooth continuity of their business operations in the market (Ford, 2018). Mr. Mulally had been instrumental in turning around the business fortunes of Ford Motor Company. When the global financial crises hit the automobile industry in 2008, both Chrysler and General Motors were struggling to come to terms with rapidly falling sales volumes in the market. However, the situation at Ford Motor Company was quite different. Alan was successful in steering his company to an entirely different direction by raising funds from various sources keeping the company as collateral (Ritson, 2010). There were many market experts who at that time questioned the need for Ford to raise $26 billion from the market. But Alan was wise enough to make the most effective utilisation of the existing market uncertainty in order to raise money while credit was cheap and easily available from the market (Kaipa & Kriger, 2010). This allowed Ford to raise the necessary financial capital that would be required to undertake a thorough restructuring and overhauling of their business operations in the market and the process through which Ford Motor Company used to manufacture automobiles. This enables Ford top survive and thrive in the highly volatile market without depending on Government bailouts which would be later utilised by both General Motors and Chrysler to survive in the market (Ingrassia, 2010). The most amazing thing about Alan is that he has been able to utilise the money raised from the market in the most effective manner to ensure the future growth and success of Ford Motor Company. He had transformed and changed the rules of brand management and brand positioning by his insightful business decisions which many markets consider to be well ahead of the time. Alan undertook the process of Brand management by overhauling the existing business operations of Ford Motor Company and ensuring that the company was able to sell of their loss decision making business divisions (Ritson, 2010). Over the years, the Ford motor Company had become extremely big by having a large number of globally reputed automobile brands such as Jaguar, Aston Martin and Land Rover under their brand stable. Alan started his cost cutting measures by selling off Land Rover and Jaguar to Tata Motors in 2008. Again, in the year 2010 Ford Motor Company had sold their iconic heavy commercial vehicle manufacturing brand Volvo to Chinese automaker Geely for $1.8bn. Volvo was a strong brand which was synonymous with performance and quality and it was very popular among the global customers (Kaipa & Kriger, 2010). The company succeeded in generating sales volumes of 200,000 units in the year 2010 and made a pre-tax profit of around $53 million till the first financial quarter. The company had been producing decent amount of profits for Ford Motor Company and selling such a profitable company at such a cheap price did not made any sense at that time (Ritson, 2010). But, the main reason for selling the different sub brands of Ford Motor Company was to give greater impetus to their core business functionalities in the market. According to Alan, the wider portfolio of different automobile brands (with different car models) which the organisation was catering to different global markets was invariably complicating the business operations of the organisation. It created a situation wherein Ford Motor Company was losing its focus on their main strengths and competencies in the market and as a result it was slowly losing out on the business competition with their market competitors (Liker & Morgan, 2011). Alan had taken a major bet by channelling all his investments, resources and people on maximising the business performance and productivity of Ford Motor Company. This played a very crucial role in helping Ford Motor Company to provide better returns to their shareholders and investors in the market. By focusing on a single brand, Ford Motor Company was able to further improve the quality and performance of their existing car models and this enabled them to generate more sales revenues and profits from their business operations (Kaipa & Kriger, 2010). By reducing the number of brands under their stable, Ford Motor company was able to deliver a better business return and this played a vital role in helping to further improve and enhance the brand image and reputation of Ford Motor Company. This new business model has been popularly termed as “OneFord” by Mulally and this strategic business model has provided the organisation with better returns from their business (Ford, 2018). With this business model, Ford has been able to satisfy their main objective of ensuring one brand, one model and one focus. This would enable the company to provide the same product to all the markets around the globe without making any changes to their existing product line based on the geographic location of the markets in which their cars are going to be sold. This has been a major shift in their global business strategy and approach which has allowed the organisation to reap rich dividends. The organisation has been able to increase their focus on manufacturing a single brand of cars and this has been welcomed by both their customers and critics in the market (Ingrassia, 2010). Under the One Ford approach, Ford has been able to develop and design better and more fuel efficient cars which offered enhanced performance and value for money to their customers. This enabled Ford Motor Company to almost double their operating profits margins to 7%. This has resulted in Ford Motor Company earning around $7 billion in yearly profits by selling the same number of cars in the market (Ritson, 2010). By focusing on a single brand with a limited number of models, Ford has been able to achieve what many considered to be impossible. Ford Motor Company looks poised to capitalise on their new found profitability – one that has completely surprised the investment markets in recent months (Hoffman, 2012). Ford is investing heavily on product and service innovation and the organisation is extremely hopeful about how the future technologies would inherently transform the global automotive market in the coming years. In keeping with Henry Ford’s ethos of bringing products to the masses, the organisation hopes to develop electric cars and autonomous vehicles which would utilise the modern AI technologies and provide greater ease of commuting to their customers (Chahal, 2016). The future of the Automobile market looks extremely promising and Ford has been an early adopter of technological changes that have taken place in the global automotive industry and this would eventually enable Ford Motor Company to do much more than just selling cars to their customers in the market. The organisation is looking to refresh their brand by launching a fleet of new car models in the global markets which would eventually help them to target different market segments by offering the option of personalisation. This would help Ford Motor Company to effectively cater to the different product tastes and preferences of different customer segments in the market and eventually help the organisation to attract more new potential customers from the marketing mix (Ford, 2018). 1. Ford. (2018). Ford’s Future: Evolving to Become Most Trusted Mobility Company, Designing Smart Vehicles for a Smart World | Ford Media Center. 2. Chahal, M. (2016). Ford is launching cars with personality to change perceptions. [online] Marketing Week. Available at: https://www.marketingweek.com/2016/12/14/ford-changing-perceptions/ [Accessed 25 Sep. 2018]. 3. Ritson, M. (2010). What Marketers Can Learn From Ford | Branding Strategy Insider. [online] Business Strategy Insider. Available at: https://www.brandingstrategyinsider.com/2010/08/what-marketers-can-learn-from-ford.html#.W6oeZNczbIU [Accessed 25 Sep. 2018]. 4. Kaipa, P., & Kriger, M. (2010). Empowerment, vision, and positive leadership: An interview with Alan Mulally, former CEO, Boeing Commercial—Current CEO, Ford Motor Company. Journal of Management Inquiry, 19(2), 110-115. 5. Liker, J. K., & Morgan, J. (2011). Lean product development as a system: a case study of body and stamping development at Ford. Engineering Management Journal, 23(1), 16-28. 6. Ingrassia, P. A. U. L. (2010). Ford‘s renaissance man. Wall Street Journal A, 13. 7. Hoffman, B. G. (2012). Nine Things I Learned from Alan Mulally.